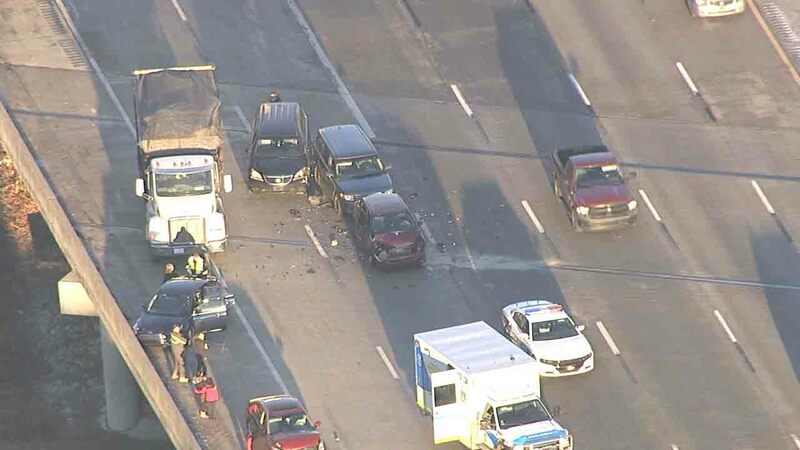 DURHAM (WTVD) -- Drivers taking I-85 North Tuesday morning hit slight traffic after a five-car accident. According to Durham police, the incident happened before 8 a.m. on I-85 North between North Duke Street and North Roxboro Street. Officers on scene said everyone involved was out of their vehicles and doing okay. Chopper 11HD was over the scene around 8 a.m. when traffic seemed to be picking back up. Authorities have yet to release the cause of the crash.